SF Environment facilitates and encourages increasing local food production and opportunities for urban gardening throughout San Francisco. SF Environment seeks to increase local food production and opportunities for urban gardening in San Francisco. Many City agencies are responsible for providing oversight, permits, and support for urban gardening projects. Learn about the permit process for urban agriculture zoning and what regulations exist for urban agriculture projects, including whether you need a permit. Before you begin to grow food in your backyard, it’s important to know the quality of your soil and how to mitigate potential issues. San Francisco is home to many types of urban agriculture projects. While some grow food directly, some play a supportive role in education and providing resources for urban agriculture. Some examples are community and school gardens, education and training centers, and materials resource centers. 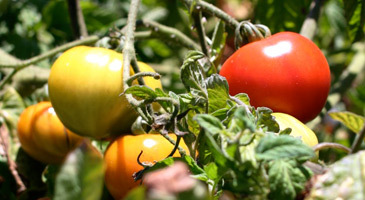 San Francisco has many resources to support urban agriculture projects, such as composting, building and landscaping materials; info on soil tests; classes; seed libraries; farmers’ markets; and grant funding. San Francisco Food is a project of the Interagency Healthy and Sustainable Foods Working Group, staffed by the Department of Public Health.